Nosebleeds (epistaxis) are quite common and usually harmless, they’re still not pleasant. For some people, they don’t always happen during the day. 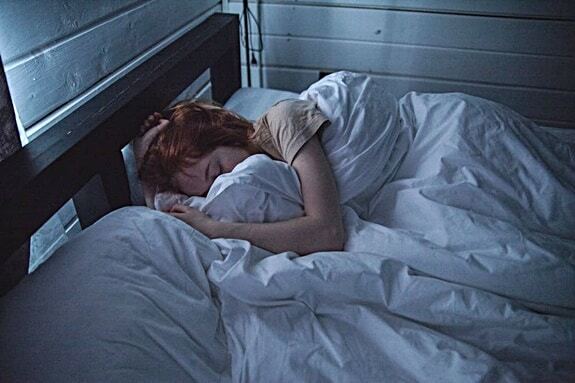 People prone to nosebleeds can often find that they occur at night, while asleep. Waking up with dried blood in the nose every morning is an indicator that this might be the case for you. Nosebleeds at night can be difficult to manage. Firstly, you may find that they wake you from your slumber, causing interrupted sleep. They might cause your nose to feel sore and sensitive during the day. Finally, having to wash your pillowcase every day due to dried blood is a hassle that we can all do without. But what, exactly, are the causes of nosebleeds? Why do you often get a nose bleed at night while sleeping? And what can you do to prevent it from happening? We’ll be exploring the answers to this question in this in-depth guide. 1 What Are Nose Bleeds? 1.1 What Happens if You Have a Nosebleed While Sleeping? 2 What Causes Nose Bleeds While You’re Asleep? 3 Why Do I Keep Getting Nose Bleeds? 5.3 Can Nosebleeds Be a Sign of Something More Serious? Nosebleeds are characterized by bleeding from the nostrils. This can happen during the day or at night, and bleeding can range from mild to severe. They have many different causes, and they can literally happen to anyone. According to an article in the International Journal of Otolaryngology, epistaxis is incredibly common. Scientists estimate that at least 10 – 12% of the population regularly endure nosebleeds. So, why do noses bleed? Inside your nose, there is a structure called the nasal mucosa. It starts at the nostrils and ends at the opening to the respiratory system. The nasal mucosa is a soft, moist tissue containing hundreds of tiny blood vessels. The walls of the nasal mucosa are quite thin, which means they’re vulnerable to damage and irritation. Any trauma to the nasal mucosa can easily result in a nosebleed. Anterior nosebleeds: These are the most common and originate from the lower part of the nose, close to the nostrils. They are typically not serious and have a trivial cause, such as nose-picking. Anterior bleeds tend to be self-limiting, meaning they heal on their own without medical attention. Posterior nosebleeds: These originate further back in the nose and are more dangerous. They tend to be heavier and can indicate damage to an artery. However, they are quite rare. What Happens if You Have a Nosebleed While Sleeping? It can be alarming to experience a nose bleed at night while sleeping. Although it’s usually not a cause for concern, it’s hard to be nonchalant about a pool of blood on your pillow. So, what happens when you get a nose bleed at night? Firstly, something will cause irritation or damage to your nasal mucosa. Your mucus lining will tear and will start to bleed. Blood will eventually start to flow from one or both nostrils, depending on where the damage has occurred. Usually, nosebleeds are not painful. You probably won’t notice your nose starting to bleed unless you’ve experienced a significant injury. As your nose continues to bleed, you may wake up. 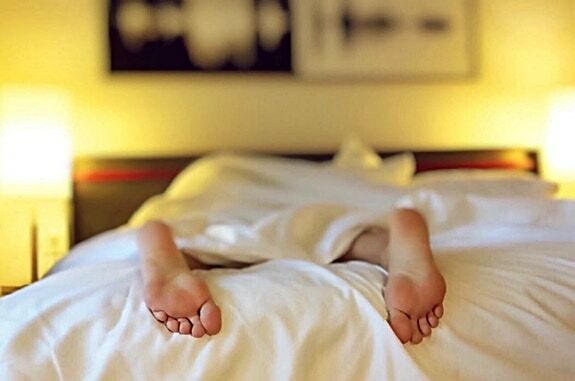 If you’re in a position where the blood is restricting your breathing, you’ll naturally rouse from sleep. Your brain has an inbuilt mechanism to wake you if you’re struggling to get enough oxygen. You also may find that you inadvertently swallow blood in your sleep. This can cause you to vomit, which will wake you. If the bleeding is mild, you may not wake up at all. The bleed will eventually stop on its own, and you’ll continue sleeping. You’ll likely wake up in the morning with dried blood on your face, pillow or bedsheets. You don’t have to worry about significant blood loss while you’re asleep. The vast majority of nosebleeds are trivial and stop by themselves before excessive blood is lost. If you do bleed for a prolonged time, you will wake up. What Causes Nose Bleeds While You’re Asleep? Night-time nosebleeds have the same causes as nose bleeds which occur during the day. There are many potential reasons that a nosebleed may start. Some are more complex than others. As with most medical problems, figuring out the cause is the first step to fixing it. According to the Ear, Nose and Throat Journal, nose-picking is one of the most common causes of nosebleeds. Picking your nose can irritate or tear the delicate nasal mucosa, causing a bleed. This is especially likely if you’ve got long or sharp nails. Although nose-picking is most likely to occur during the day, you can pick your nose in your sleep. If you pick your nose a lot, it’s more likely to result in a nosebleed. This is because the inside of your nose will already be tender and irritated. If the air in your bedroom does not have a high enough moisture content, this could be the culprit. Breathing dry air through your nose while you’re asleep can cause your nasal mucosa to dry out. When the nasal mucosa loses its moistness, it can sometimes crack. This can lead to a nosebleed. If your sinuses and inner nasal passages are irritated or tender, they’re more susceptible to damage. When this happens, a nosebleed often follows. There are various potential causes of such irritation. If you have a cold or allergy, you’re likely to blow your nose a lot. Repeated nose-blowing can cause nosebleeds, especially if the nasal mucosa is already irritated. If your blood has problems clotting, this may result in more frequent nosebleeds. You’ll also notice that the bleed lasts longer than usual. Having high blood pressure can also cause nosebleeds. This is because the lining of your nose is full of delicate blood vessels. If your blood pressure is high, these vessels could become damaged, resulting in a nosebleed. Why Do I Keep Getting Nose Bleeds? Do you feel like you get nose bleeds at night more often than other people? If so, there may be something about you which predisposes you to nosebleeds. Certain groups of people experience nosebleeds more frequently than others. Let’s look into what factors can contribute to this problem. Your age can affect how likely you are to experience nosebleeds. They are particularly common in toddlers and children under 10. Nosebleeds aren’t any more severe in children than they are in adults. As you approach old age, your chances of getting a nosebleed also increase. There are various health conditions which are more common in the elderly that can cause nosebleeds. A senior person experiencing a nosebleed can be a cause for concern, as it could be indicative of a health problem. Posterior nosebleeds, which are more serious, are more common as you start advancing in years. A study in the Journal of Heredity found that some families are more prone to nosebleeds than others. Though no single gene has been identified, it seems that frequent nosebleeds can be hereditary in some cases. There’s also a genetic disorder which can make people more prone to nosebleeds. It’s called hereditary hemorrhagic telangiectasia (HHT). It affects the development of blood vessels, causing some to form incorrectly and be more likely to bleed. Along with regular nosebleeds, you’ll also see red spots on your body. If you have this, one of your parents will have it too. You also may have been born with a deviated septum. The septum is the structure which separates your nostrils. If this is displaced, it can cause symptoms such as nosebleeds, snoring and difficulty breathing. Your nasal mucosa keeps itself naturally lubricated, but it’s harder to do this when the air is dry. Depending on where you live, you may be exposed to very dry air, particularly in the summer or winter months. Some people find that they exclusively experience nosebleeds during the summer or winter for this reason. Extreme temperatures, such as the highs of summer and lows of winter, can also affect the blood vessels inside the nose. This causes them to be more easily damaged. If you live in an area which experiences extreme temperatures, this could be the cause of your nose bleeds. Some drugs can cause a propensity for nosebleeds. Cigarettes: Smoking can severely irritate the delicate blood vessels in the nose. Smoke can dry out the nasal mucosa, making it prone to cracking and bleeding. Alcohol: According to a study in the British Medical Journal, regular, high alcohol consumption can trigger frequent nosebleeds. This is because alcohol can interfere with platelets in the blood, which help the blood to clot. Alcohol use can also dilate blood vessels, making them more prone to injury. Cocaine: Cocaine use can severely damage the inner nasal passages. It can irritate the lining of the nose, causing frequent nosebleeds. With prolonged use, cocaine can cause the death of inner nasal structures. This can result in a septal perforation (hole). Experiencing a nose bleed at night during pregnancy is extremely common. According to a study in Obstetrics and Gynecology, around 1 in 5 pregnant women experience nosebleeds. This is largely down to the overproduction of certain hormones during pregnancy. Estrogen makes your blood vessels dilate, allowing for more blood flow into them. Progesterone increases your blood supply in general. Combined, this puts pressure on the inside of the nose, making nosebleeds more likely. Now that you know what causes them, let’s look at how you can prevent nosebleeds. Follow these steps, and you should find that you get far fewer nosebleeds at night. For your nasal mucosa to stay lubricated, it’s important that you hydrate your body. For the nasal lining to stay moist, it has to get water from somewhere. If you’re dehydrated, your body doesn’t have enough water to meet demand. Aim for at least eight 8-ounce glasses of water per day. Staying hydrated means your nose will remain healthy, resulting in fewer nosebleeds. You’ll also improve other aspects of your health, such as kidney function, but too much water can keep you awake at night! If hydration isn’t doing enough for you, try lubricating the inside of your nose. Your nose should stay moist naturally, but some people are more prone to dryness than others. Using a cotton swab, gently smear petroleum jelly (such as Vaseline) inside your nostrils to keep them moist. Try to coat the entire reachable surface; though don’t push the Q-Tip up too far or you may cause damage. Do this up to 3 times a day, or whenever your nose feels dry. You can also use nasal saline sprays or drips, which are available from most pharmacies. Along with self-lubrication, you can also reduce the dryness in the air. Purchasing a humidifier is the simplest way to do this. A humidifier slowly releases moisture into the air, eradicating dryness. This will help your nasal mucosa to stay moist and less prone to cracking. There are many humidifiers available for purchase online. If at all possible, avoid picking your nose. Picking your nose comes with the risk of damaging your delicate inner nasal passages. Dried nasal mucus (“boogers”) tends to form when the inside of the nose is dry. Lubrication and humidification can help keep mucus wet, meaning you won’t feel the urge to pick as often. If you do choose to pick your nose, keep your fingernails short and filed so that there are no rough edges. Ideally, keep tissues nearby so that you can blow your nose instead. When blowing your nose, be gentle. Blowing too hard can result in damage to the blood vessels. If you sneeze, keep your mouth open. This will reduce the pressure inside your nose, making damage less likely. If you’re a smoker, look into ways to quit. Smoke could be irritating your nose, giving you frequent nosebleeds. There are plenty of resources available such as nicotine gum, nicotine patches, and self-help books. Try to limit your use of alcohol to no more than 14 units per week, split up into three or more days. Heavy alcohol use can damage the blood vessels inside the nose, and interfere with platelets in the blood. Exposure to irritating substances in the air could be inflaming your nasal mucosa, causing bleeds. If possible, try to avoid allergens such as pollen, pet dander, and smoke. 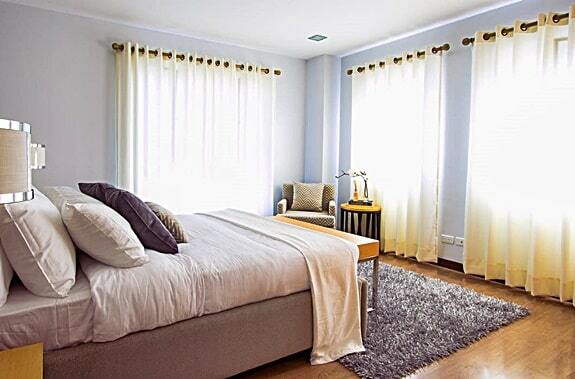 Keep your bedroom clean; frequently vacuum and change your bed linen. 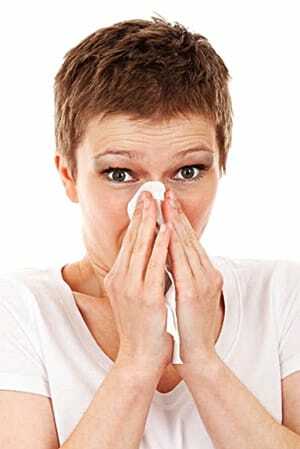 If you have allergies, speak to your doctor about trying allergy medications such as antihistamines. If you think that your medication is causing your frequent nosebleeds, speak to your doctor. They may be able to change your medication to something that will work better for you. However, if you’re on anticoagulants such as warfarin, this may not be possible. These medicines are important for preventing your blood from clotting in the wrong places. Nosebleeds are just an unfortunate side effect that you may have no choice but to deal with. If you follow the above advice, you should find that your nose bleeds reduce in frequency. However, everyone gets a nosebleed occasionally, despite our best efforts to prevent them. Sit upright, or stand up. Grip your nostrils at the base and apply pressure to both sides, holding your nose closed. Lean or tilt your head forward slightly, so that blood does not flow into the throat. Hold your nostrils closed for ten consecutive minutes, breathing through the mouth. Hold an ice pack, or bag of frozen vegetables wrapped in a towel, to the bridge of the nose. This can help contract the blood vessels and stop the bleeding quicker. After 10 minutes, see if your nose is still bleeding. If it is, hold for another 10 minutes. Don’t lie down. You might be sleepy, but you should always sit or stand up so that blood doesn’t pool in the throat. For the same reason, do not tilt the head backward. Keep it tilted slightly forwards. Do not grip your nose at the bridge or the top of the nose, as this won’t stop the bleeding. Instead, grip at the soft base of the nose. Avoid strenuous activity or bending down after the bleeding has stopped, as this could trigger it to start again. Even if you can feel the dried blood in your nose, do not pick or blow your nose. This could cause your nose to start bleeding again. Wait at least 24 hours, until it’s fully healed. If you follow the above steps, your nosebleed should soon stop on its own. Once it’s healed, you can apply petroleum jelly to the inside of your nose. This will keep it moist and promote healing. Can Nosebleeds Be a Sign of Something More Serious? Nosebleeds are usually not a cause for concern. Following our above advice should prevent nosebleeds from occurring as often. The above could be a sign that you have a blood clotting disorder or some other underlying problem. Your doctor will perform tests and examine you to ascertain what’s causing your nose bleeds. The above could be a sign that you have a posterior nosebleed. It could be the result of a more serious problem, such as damage to an artery. At the hospital, they may pack your nose to stop the bleeding or cauterize the wound. They will also conduct tests to identify the cause of the bleeding.